Applications for our Apprenticeships and Degree Apprenticeships are now open (September 2019 start). Here’s our handy guide on how to successful submit your application via Gen2. REMINDER: Applications for our Cumbria based Apprenticeships will close Friday 15th February 2019. 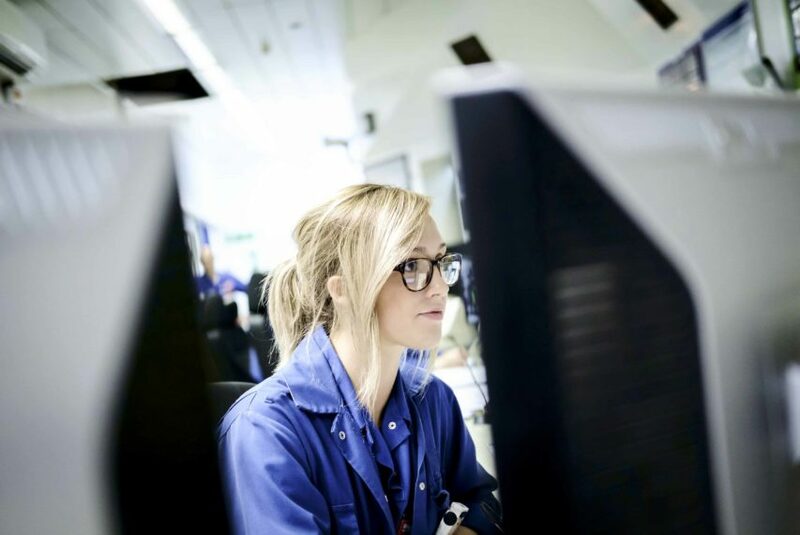 At Sellafield Ltd we have a huge range of Apprenticeships and Degree Apprenticeships to choose from. We recommend starting by reviewing the two pages below; these will provide you with a detailed overview of each of our schemes, what you will be doing, things you should consider and where you will be based. If you’re still not sure what scheme you’re interested in, look out for any events we are attending on our twitter channel, at these events you will be able to chat directly to scheme leaders and current apprentices. Step 2 – Do you meet the minimum requirements? Picked a scheme you’d like to apply for? – Ensure you meet or are predicted to meet the minimum entry requirements before you start your application. You can check the entry requirements for each individual scheme on the above pages. Ready to start your application? Click ‘Apply Now’ in the Apprenticeship section on our website and select the most suitable box for the scheme in which you would like to apply for – You will then be redirected to the Gen2 website. All of our apprenticeship schemes based in Cumbria must submit an application through Gen2 to be considered. 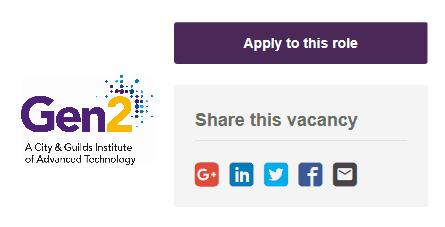 Read the information on the page and if happy to proceed select ‘apply to this role’. You will be required to register an account with Gen2, or if you’ve previously applied log-in to the system. You must be registered before you will be able to apply for an Apprenticeship. Complete the form to create an account, keep your login details safe so you can log back in at any time. Complete these questions and press continue. On completion of the initial questions you will be asked for your reason for applying. Here you need to explain why you have chosen to apply for the scheme you have selected. It is recommended that you aim to write 300-600 words within this section. Top tip – Show you understand the scheme you are applying for, and link it back to your interests, education or experiences. My Details – Firstly, you will be asked to upload a passport size photograph of yourself, ensure the photo you choose is a recent and clear head shot. Secondly, complete your contact details, it’s important you double check the telephone numbers you provide are correct before continuing. Top tip – Get a friend to take a head shot of you against a plain white wall. Ensure you add ALL of your education records, include everything from GCSEs, AS/A Levels, NVQs etc. Use your predicted results if you are sitting exams this year. Double check the information in this section is correct, this is a vital part of your application and if incorrect it could result in you being shortlisted out incorrectly. Ensure you add ALL of your work experience, paid or unpaid, as both may be relevant your application. You will be asked to provide details of two referees at this point. If you are currently in education or have left education within the past 18 months, you must provide at least one academic reference (i.e. Head of Year details). Your Head of Year will either complete the reference or pass it to another member of staff to complete. If you are currently employed/working, provide details of your line manager. Before entering the contact details of your referee you must inform them that you are naming them on your Gen2 application and that if you are successful in gaining an interview they will be contacted. When requesting their permission, ensure you gain all their up date to contact info, email, phone, address etc. If you provide an incorrect email address it may hold up your application. Here you will be asked to briefly describe your hobbies and interests. This may include things like, any activities or groups you are a part of, or any interests you have outside of school/work. On completion of the My History section you will go onto Career Choices, here you will select which scheme/area you want to be considered for. Skills Centre – You will be asked which skills centre you would like to be considered for. 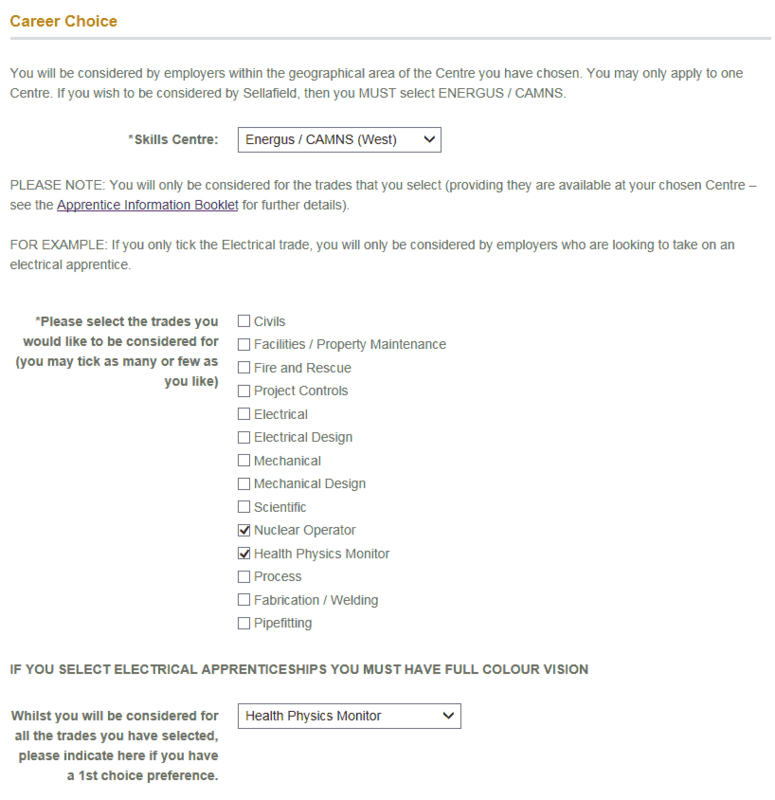 To be considered for a Sellafield Ltd Apprenticeships you MUST select ‘Energus/CAMNS (West). Choices/Trades – You will be asked which trades you would like to be considered for, select as many or as few as you would like to be considered against. After making your scheme choices, you will be asked to complete an Equal Opportunities questionnaire. The information you provide will be treated confidentially and will play no part in the recruitment process; the information will be used for monitoring purposes only. You have the option to select ‘prefer not to say’ if you do not wish to answer. You will only be able to complete the declaration and submit your application if you have correctly completed all of the sections of the application form. *Remember, if you don’t have time to complete your application, press save. Note down your log-in details and you’ll be able to return when you have more time spare. Well done, you should have now successfully completed your application for an Apprenticeship! Keep an eye on your emails for correspondence relating to your application.